The UNO is a simple, affordable and robust inflatable de-power trainer. 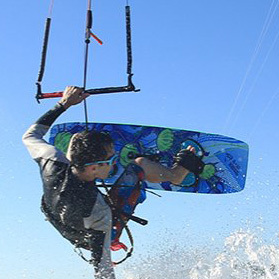 With a unique design incorporating only one strut it is an ideal kitesurf trainer kite practice, learn, and to rig and fly the same as larger inflatable kiteboarding kites. The Ozone Uno is perfect for any kiter to have as a fun addition to his/her quiver to get family and friends into kiting.